Beautiful Water Front Home on the Island!! Boat slip with electronic lift in the gorgeous community of Tierra Verde! This townhome is well appointed, move-in ready and is located in the very rear of Mariner’s Landing providing additional peace and quiet on a tranquil island. It offers a huge master suite overlooking the water, relaxing bath and closet with custom built-ins. The stunning kitchen will wow all your guests with its beautiful updates and open space. Lower level 4th Bedroom and 3rd Full Bath perfect for a private guest suite. The floorplan is excellent for your personal enjoyment and offers very open space for either a formal dinner or casual fellowship and large holiday gatherings. Step out to the large balcony located just off the living room and enjoy unique daily wildlife visits which can include manatees, dolphins, distinctive birds to watch, and fish in the water. The remote controlled boat slip offers ease of passengers to embark and the slip is right out your backdoor. Relax by the poolside or under the shaded tiki-cabana. 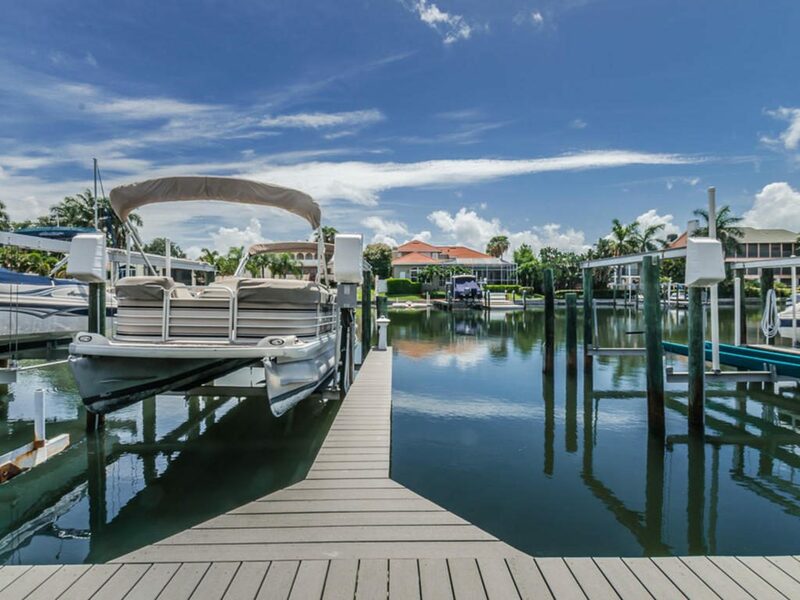 This phenomenal boating location also offers two easy accesses out to sparkling Tampa Bay and unobstructed passage to the Gulf of Mexico. Location that can’t be beat!! Bike to world renown Fort Desoto Park consisting of 5 interconnected islands of Pinellas County. Fly internationally from many very conveniently located airports: Tampa International – TIA, St Pete-Clearwater-PIE,Albert Whitted,and Sarasota-Bradenton International-SRQ Airports. Come see today!